Community Phone Booth, with Signal Strength app. 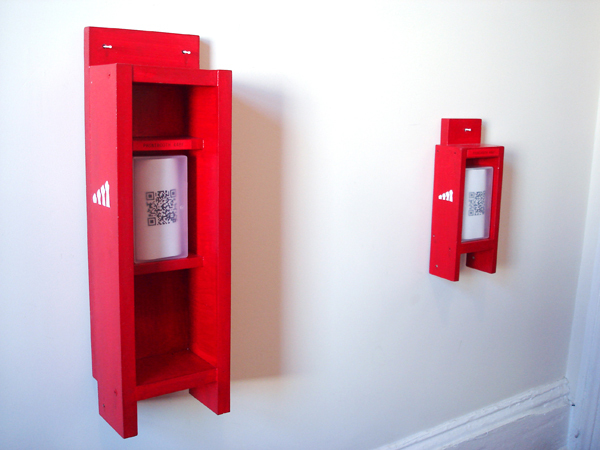 Community Phone Booth (installation view). A free phone for a local, offline community. 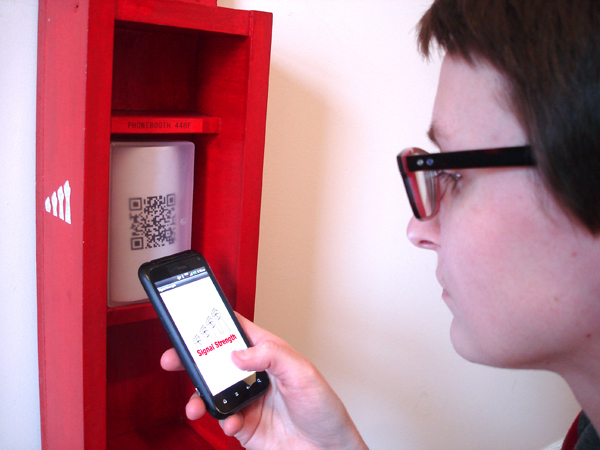 The Community Phone Booth offers a way to connect to the Signal Strength network for users who do not have cell phones or custom routers. 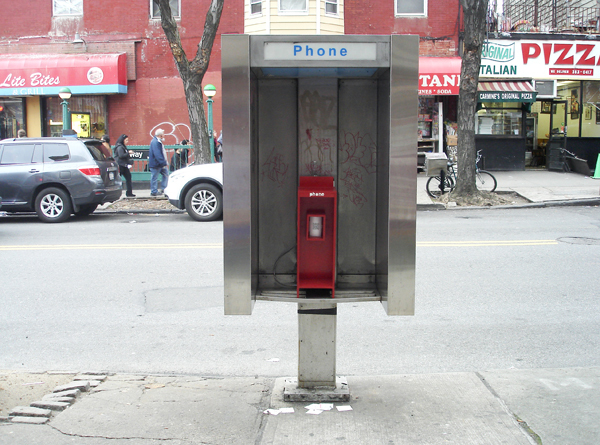 Phone booths are installed in public spaces and are wireless nodes on the peer to peer network.